Consultants with Cornerstone Clinical Consulting are Registered Nurses experienced in optimizing RUG (Resource Utilization Groupers) scores for care provided. Colleen is passionate about excellent care for the elder population, loves the MDS and sharing guidance from the Resident Assessment Instrument (RAI) manual. Colleen loves awakening the passion for elder care and the assessment process in others. Colleen has built her career on a foundation of acute & sub-acute direct patient care, staff supervision and training. Colleen has participated as an expert adviser to multi-disciplinary teams regarding the (WA) State and Federal requirements for the Minimum Data Set (MDS); consulting and training on Resource Utilization Groupers (RUGs) III /IV for entitled payment. Colleen has worked with health care lobby groups to support advocacy for our elders, and ongoing quality and excellence in healthcare. Colleen has helped state Long Term Care (LTC) industry leaders with clarifications to the MDS and RAI processes. 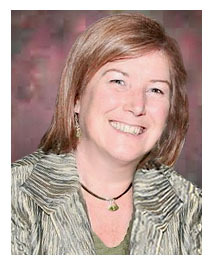 Colleen worked as a corporate clinical reimbursement specialist before founding Cornerstone Clinical Consulting in 2011. Colleen has been a MDS reimbursement consultant to long term care, Medicare and transitional care facilities in Washington, Idaho and California. Major responsibilities have included: review of the MDS compliance process and systems to help assure accurate reimbursement for the care provided. Colleen provides ongoing RAI focused education and in-services to facility direct-care staff and leadership regarding MDS coding criteria as it relates to RUG scoring, case mix and skilled care services. Colleen brings a breath of fresh air and simplicity to an otherwise complexed clinical assessment tool. Excellence Award winner, working for you. 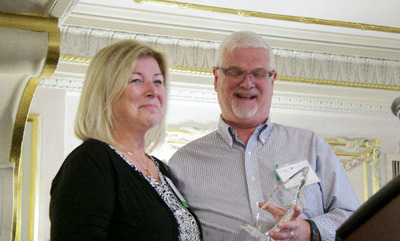 The LeadingAge Awards Program, Awards of Excellence recognizes those individuals and organizations that have made an outstanding contribution in the fields of aging, health care, housing and community-based services. It is our way of saying thank you, to those who do more than what is merely expected of them, who do the right things for the right reasons. Click here to see the full award. “…articulates ideas well. Is compassionate and a good listener. "So helpful. You’re shared insights trickle into my consciousness during my quiet time. Thank you! Carol"
"This course gave me more than I expected." "Very enlightening and thorough. Now, I feel equipped to do this, thanks to you!" "​Very thorough with great information to MDS. Enjoy the small group sessions…. Janelle"